On 6 JUL 16, Mr. Hee Yong Kwon, President of the Raven Legal Task Force, invited the CEO of NEC-SE to provide a presentation on the current security situations in the Middle East and why it is important for not only the Middle East region, but South Korean and Asia as well. 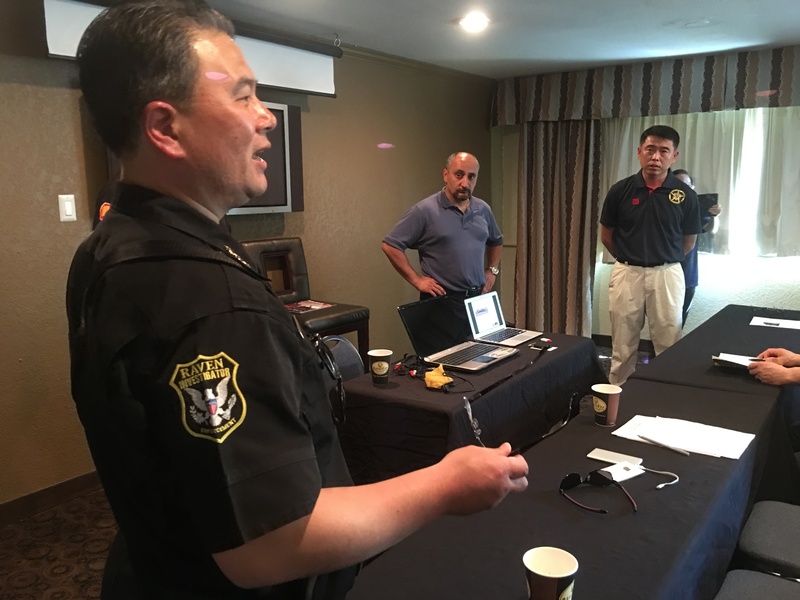 The presentation was given to an assembled group of 16 Korean current and former Police and Military leaders attending the Raven Investigation Groups 1st US/Korean Investigation Seminar in Tacoma, Washington. The delegation was surprised by the complexity of the Middle Eastern situation and impact upon South Korea and it’s regional neighbors. LTC (R) Sangari also presented on behalf of the Center for Near East Engagement an overview of the current security situation and struggles of the Assyrian Christian community in the Middle East against ISIS. LTC (R) Sangari talked about the ways in which the NEC-SE and South Korean organizations and individuals can work together to assist each other in the threat of regional and global threats. Accompanying LTC Sangari in his briefing was Mr. Matthew Julian Esraelo who recently returned from fighting with the Assyrians Army on 23 JUN 16. Mr. Esraelo spoke about the latest tactical situation in Iraq. On 14 JUN 16 NEC-SE posted: NEC-SE Will Offer Private Security Briefings to its Readers. We still encourage our readers to enquire about our ability to brief their groups.